Mexico & Central America Adventures. From Costa Rica's rain forests to the beaches of Belize, Mexico and Central America harbor a greater diversity of species than anywhere else on earth. Witness millions of monarch butterflies in Mexico's forested highlands, 30-ton gray whales nurturing their young in Baja's bays, or hundreds of orchid species in the cloud forest. Nowhere is the keen eye and intimate knowledge of our Expedition Leaders more imperative to a nature adventure than amidst this fantastic biodiversity, as we explore remote realms rich in wildlife and wonder. Naturetrek offers Butterfly Watching Holidays in Europe, Scandinavia, Africa, and Asia. All tours are led by a Naturetrek butterfly watching expert. Although butterflies are the main focus of their butterfly tours, they also take time to observe other wildlife. By booking one of their dedicated butterfly holidays, you will automatically be making a contribution to butterfly conservation. Sunstreak Tours. 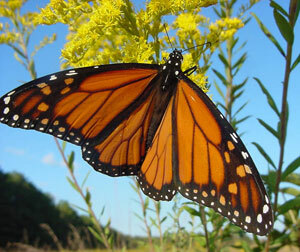 They specialize in butterfly tours, helping you to see lots of butterflies, in a non-pressured, fun, atmosphere. Our expert leaders are both passionate about butterflies and comfortable with people. They offer tours to: Florida, Texas, Arizona, California, Nevada, Colorado, Wyoming, Mexico, Columbia, Ecuador, Peru, and Puerto Rico. S & S Tours. Take the Monarch Butterfly Sanctuary Tour in Mexican mountains You will simply love this truly privileged trip that few enjoy. Marvel at the magic beauty of the shimmering color & movement of millions of Monarch Butterflies that winter near Morelia, Michoacán. The Oyumel Fir Tree Forest highlands of the western Sierras are the perfect refuge for the Monarchs. Commune with them as they personally greet you, resting on your arms & head.